Overscheduling of competitive events, overuse injuries and burnout have become too common in youth basketball. The tables below outline recommended and maximum amounts of youth basketball participation, as well as rest guidelines for young athletes, designed to promote a fun and healthy playing experience. The maximum participation guidelines outlined above and guidance on camps and academies below are intended to serve as limits on a young athlete’s participation in organized basketball. It is possible that participation in organized basketball within the maximum limits but in excess of the recommendations is also not advisable from a health and wellness standpoint; however, this issue requires further study. *Youth basketball players, parents, and coaches should demonstrate caution in scheduling or participating in more than one game per day, especially on consecutive days. If young athletes participate in an event or tournament in which more than one game is played per day on consecutive days, players should have additional time off from sports activities following the event to allow for recovery. **It is recommended that young athletes in these age ranges who are approaching the maximum hour limits not participate in another organized sport concurrently. *For 12 year olds, 9-12 hours of sleep is recommended. Organized basketball includes game competition as well as practice time and structured training in which an athlete works in a focused way (typically with or at the direction of a coach) to improve his or her game. Unstructured individual or peer-led time oncourt DOES NOT constitute organized basketball for the purpose of this table (e.g., pickup games, a player individually shooting baskets by himself/herself, a player working with a peer to practice a skill). Participation in a youth basketball camp or academy can result in a young athlete exceeding maximum weekly participation guidelines. Camp program content and duration is variable, and youth basketball camps can be a positive experience for young athletes even in cases where they exceed the guidelines above. Camp directors should, however, keep the guidelines above in mind and seek to include activities other than organized oncourt basketball participation, particularly for longer-duration camps. We recommend additional rest for young athletes following camp attendance to allow for recovery prior to resuming organized basketball sessions or attendance at another camp. Youth sports academies that provide more comprehensive training experiences for young athletes also exist, particularly outside the United States. As with camps, the curriculum, training protocols and health and wellness resources at academies are also variable. To an even greater degree than camps, a significant portion of a basketball academy’s physical curriculum should involve activities other than organized basketball participation, which can include self-directed or peer-led basketball practice or play, or non-basketball sport and training activities. This is particularly true for academies that include athletes that have not yet reached the ninth grade. Camps and academies should recognize that there is a lack of evidence to support early single-sport specialization. The overall effects on the health and well-being of young athletes of longer-duration camps and youth academies require further study. Recommendation: Delay specialization in basketball until at least age 14. Current research does not support the view that early single-sport specialization is either necessary or sufficient to produce elite performance at advanced levels of competition. In fact, early single-sport specialization in basketball and other team sports may be detrimental to long-term elite performance. 1. Promote personal engagement in youth basketball and other sports. Sports provide opportunities for children and adolescents to connect with others, build meaningful relationships and take on challenges and leadership roles that promote overall personal development and well-being. 2. Youth sports should include both organized and informal, peer-led activities. Peer-led activities allow children freedom to create and challenge themselves. In addition to having structured practices and competitions, basketball organizations should encourage informal, peer-led opportunities for individual growth. 3. Youth should participate in a variety of sports. Sport sampling during childhood provides a foundation for long-term success, often by allowing young athletes a chance to find a sport that they enjoy and that may ultimately fit them best. For the sport of basketball, multi-sport participation in youth can help an athlete be a better basketball player. 4. Delay single-sport specialization in the sport of basketball until age 14 or older. Participation in multiple sports in early childhood is beneficial from a player health and player development perspective. Athletes that reach the highest level of achievement are more likely to have played multiple sports at a young age and delayed single-sport specialization until late adolescence. Studies of world-class athletes in basketball and other team ball sports have demonstrated that top performing athletes often delayed single-sport specialization until age 16 or later. Thus, delaying specialization until this age range is recommended. However, when considering the need to balance time among school, sports, community activities, and other responsibilities, our experts recognize that single-sport specialization in the U.S. may occur upon entry to high school. Specialization in basketball prior to age 14 is discouraged. 5. Ensure rest from organized basketball at least one day per week, and extended time away from organized basketball each year. Daily rest is important for injury prevention, sport development and overall health. Rest days should be taken each week, and extended time off should be taken each year for physical recovery as well as to recharge oneself psychologically. Such an approach helps to maintain motivation for continued participation. 6. Limit high-density scheduling based on age-appropriate guidelines. High-density competition scheduling can increase risk for injury and burnout. Parents, coaches and event directors should be cautious in considering tournaments that schedule multiple competitive events (i.e., games) in short periods of time. Special attention must be paid to rest, recovery and refueling. 7. Further evaluation of basketball-specific neuromuscular injury prevention training program is warranted. Such programs appear valuable in reducing lower extremity injuries in other sports. Early results indicate similar benefits in basketball. 8. Parents and coaches should be educated regarding concepts of sport readiness and injury prevention. Variations among youth in cognitive and social development, as well as motor skills, should be considered when setting goals and expectations. The NBA and USA Basketball have adopted a Youth Basketball Player Segmentation Model designed to help ensure player safety, consistency and competitive fairness and balance for youth basketball players. 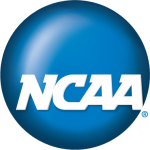 •	For purposes of eligibility, a “Playing Year” is defined as Sept. 1-Aug. 31. •	Beginning at age six, players are segmented by single-year age through age 13. Date of birth relative to the Playing Year is the final determinant of eligibility. •	For age segments, each age designation reflects the maximum age of a player during the Playing Year. For example, using the 2018-19 Playing Year, the 12U segment is for players who are 12 years of age and under as of Aug. 31, 2019. Should a player turn 13 on Aug. 31 or earlier, the player would be ineligible for the 12U segment and would be considered a 13U player. •	A transition year between age-based and grade-based affiliation is necessary to allow for players who have been held back in school or are old for their grade. This provides a transition period from playing with one’s age segment to playing with kids in the same academic grade. •	Event operators have the option to host a division based on the 14U age-based model and/or adopt the 8th grade-based model. •	Players in grades nine through 12 are classified based on the grade they are attending in school as of Oct. 1 of the Playing Year. •	Exceptions: For grade segments only, players must be enrolled in school at the grade level in which they are competing AND can only be up to one Playing Year older than their grade indicates. For example, using the 2018-19 Playing Year, a ninth grade player cannot turn 17 prior to Sept. 1, 2019. These recommendations, which will be announced in 2017, are being designed to provide developmentally appropriate standards for youth basketball – allowing the game to evolve as kids grow and mature. Basketball is played in countless settings and locations across the U.S. – and though the game remains fundamentally the same, there are many variables that can impact a young player’s experience. The NBA and USA Basketball want all players to enjoy the game and have a fun, developmentally appropriate experience. The NBA and USA Basketball have worked closely with an expert working group on Playing Standards to develop age- and stage-appropriate rules and standards for youth basketball. Aligning with the Player Segmentation Model, these guidelines will help young players appropriately learn the fundamentals of the game, achieve and maintain early success, and provide enhanced long-term development. The NBA and USA Basketball have adopted FIBA (International Basketball Federation) rules for the Grades 9-12 age- segment and created progressive sets of rules and standards for younger age segments (ages 14 and under). Where a specific rule or standard is not explicitly indicated, the recommendation is to follow official FIBA rules. The NBA and USA Basketball will utilize these playing rules and standards in all events and competitions they may host. Dr. Brenner is an associate professor of pediatrics at the Eastern Virginia Medical School in Norfolk, VA. At the Children’s Hospital of the King’s Daughters, Dr. Brenner is the medical director of the sports medicine and adolescent medicine programs and the director of the sports concussion program. Dr. Brenner’s research focuses on overuse injuries, sport specialization, and concussions in youth athletes. He participated in the White House Concussion Summit and is the immediate-past chairperson for the American Academy of Pediatrics’ Council on Sports Medicine and Fitness. 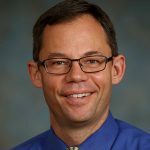 Currently, Dr. Brenner is the team physician for local high schools and Norfolk State University, Governor’s School for the Arts and the Todd Rosenlieb Dance and Virginia Ballet Theatre. Professor Côté is Director in the School of Kinesiology and Health Studies at Queen’s University at Kingston in Ottawa (Canada). His research interests are in the areas of youth sport, coaching, sport expertise, and positive youth development. 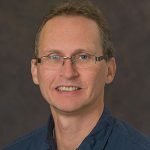 Dr. Côté’s research is internationally recognized and he has served on the editorial boards of the Journal of Applied Sport Psychology, The Sport Psychologist, Revue International des Sciences du Sport et de l’Education Physique, and Physical Education and Sport Pedagogy. He was the editor of the International Journal of Sport and Exercise Psychology. Dr. DiFiori serves as the NBA Director of Sports Medicine. In this role, he directs the League’s research initiatives, and the development and implementation of policies related to player health and safety. 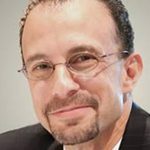 At UCLA, Dr. DiFiori is a professor in the Departments of Family Medicine and Orthopaedic Surgery and Chief of the Division of Sports Medicine and Non-Operative Orthapaedics for the Departments of Family Medicine and Orthopaedic Surgery. He is the Head Team Physician for the UCLA Department of Intercollegiate Athletics, overseeing the care of more than 650 athletes in 24 NCAA sports, and serves as team physician for the Bruins’ football and men’s basketball programs. Dr. DiFiori is a former President of the American Medical Society for Sports Medicine and is nationally recognized for his leadership in the fields of youth sports injuries and early sport specialization. 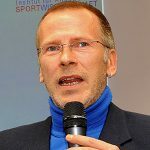 Professor Güllich serves as Head of the Department of Sport Science and Director of the Institute of Applied Sport Science at the University of Kaiserslautern in Germany. His research interests focus on youth sports, talent development and evaluation of talent development programs. Prior to joining the university in 2008, Professor Güllich spent over a decade with the German Olympic Sports Confederation, serving as Head of the Departments of Talent Development and Sport Science. 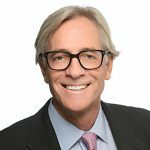 Brian Hainline, M.D., is Chief Medical Officer of the National Collegiate Athletic Association (NCAA). 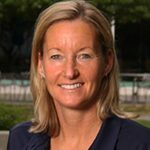 As the NCAA’s first Chief Medical Officer, Brian oversees the NCAA Sport Science Institute, a national center of excellence whose mission is to promote and develop safety, excellence, and wellness in college student-athletes, and to foster life-long physical and mental development. The NCAA Sport Science Institute works collaboratively with member institutions and centers of excellence across the United States. 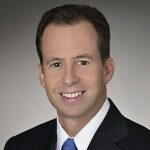 For over 25 years, Brian has been actively involved in sports medicine, including serving as Chief Medical Officer of the US Open Tennis Championships and the United States Tennis Association. He is co-author of Drugs and the Athlete, and played a pivotal role in the rollout of drug testing and education worldwide. He is currently vice-chair of the American Academy of Neurology’s Sports Neurology Section. Brian is Clinical Professor of Neurology at New York University School of Medicine and Indiana University School of Medicine. 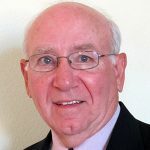 Dr. Malina is Professor Emeritus in the Department of Kinesiology and Health Education of the University of Texas at Austin. 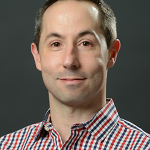 His research interests include the biological growth and maturation of children and adolescents with a focus on youth sports in general and on the influence of training on youth athletes in particular. Dr. Malina’s distinguished career and contributions to the field of sports medicine were recognized in 2013, when he was presented with the Honor Award by the American College of Sports Medicine. 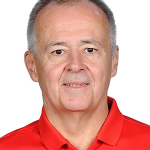 Edward J. Ryan III has been the USA Basketball Women's National Team athletic trainer since 2007, including the Gold-Medal winning 2016 Women’s Olympic team. Ryan has been involved with USA Basketball team for well over three decades for numerous national and international events, including as the USA Basketball Women’s National Team’s athletic trainer for four of the past five FIBA World Championships, the 1990 Men's World Championship, and has been involved with the medical staff at additional USA Basketball trials and training camps. Ryan also served as the Medical Director and head athletic trainer for numerous other events, including the 2006 and 2002 Winter Olympics, 2004, 1996 and 1992 Summer Olympics, 1998 Winter Paralympics, and the 2011, 2003, 1999, 1995 and 1991 Pan American Games. 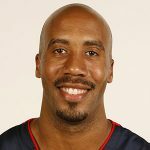 Shane played in the NBA from 2001-2014 and is a 2-time NBA Champion. Shane is the only basketball player to have ever won both the Naismith Prep Player of the Year Award and the Naismith College Player of the Year Award. 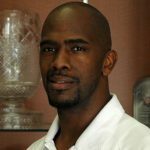 Jeremiah works for the NBA in Youth Basketball Development where he leads the curriculum development process. 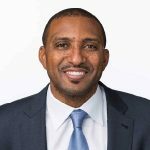 Jeremiah has played a key role in multiple NBA initiatives around the world and continues to be a driver in the youth basketball arena. Previously, Jeremiah coached players and teams ranging from youth to NBA all-stars as a partner in The Skill Factory. Jeremiah played and graduated from Columbia University and played professionally overseas for 7 years. After going undrafted in the 1993 NBA draft, Bruce became a 3-time NBA Champion with the San Antonio Spurs. Bruce was also elected to the NBA All-Defensive First and Second Teams 8 eight times. Kathy Brook has a Masters of Physical Education and a Bachelor of Education. She is a senior coaching consultant with the Coaching Association of Canada. 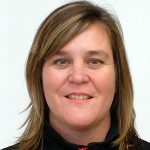 Kathy is a curriculum writer for NCCP Fundamental Movement Skills and Junior NBA Canada. 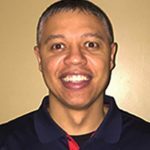 Jay currently serves as the Youth Division Director for USA Basketball where he oversees all facets of youth basketball initiatives that address player development, coach education and safety in sport. Jay is a former middle school, high school and club coach having spent 16 years coaching boys and girls at all levels. Joe is currently a coach at Butler Middle School (Pennsylvania) and the Head Coach and Founder of the PK Flash club program. 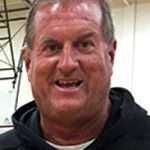 Joe is currently USA Basketball 3x3 National Team Adviser, a position he has held for the past three years. Joe also has served as coach for many youth camps and clinics around the country. 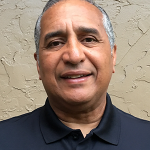 Frank Lopez is NBA/WNBA Clinician & Camp Director and has coached high school basketball for over 25 years. Frank is the recipient of Coach of Year Award, from CFCA (Central Florida Coaches Association). Frank also coached Collegiately Florida Southern College. As an athlete, Frank lettered in Baseball, Basketball & Cross Country at Southeastern College and helped lead the team to a 24-8 mark and make the NCCAA National Tournament. Leo is the founder and current head coach of the Boston Amateur Athletic Club (Massachusetts), a position he has held for 38 years. He also spent five years as an NCAA Division 1 men’s basketball assistant coach and 17 seasons in the NBA as an executive with the Boston Celtics. 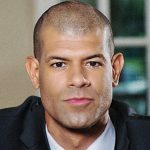 James Parker is currently the Director of Sports for the Amateur Athletic Union (AAU), one of the largest youth sports organizations in the United States. His responsibilities include developing youth sports policies, procedures, rules and regulations for AAU Sports programs. James oversees both AAU Youth and Adult sports, which include more than 35 sports programs, 250 national championships, and roughly 1 million members. 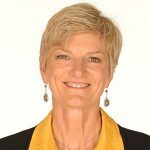 Sue served as the head coach of the 2014 USA Basketball Women’s U17 World Championship Team that finished with an undefeated record and the gold medal at the 2014 FIBA U17 World Championship. She recently completed her 21st season as the Head Girls Basketball Coach at Archbishop Mitty High School in San Jose (California). 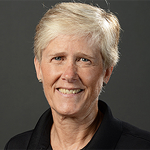 Carol Ross has seen success as a coach at both the college and pro levels. Ross served as the head coach for multiple college and WNBA teams. In 2012 Ross was honored as the WNBA Coach of the Year. In 2005 Ross served as the assistant coach of the USA Women’s Under-19 team. That team won all eight of their games including the championship. Dan has coached at all levels of basketball in the United States over the last 25 years. 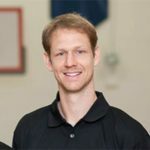 Dan has been a high school boys and girls Varsity Head Coach (7 years), an NCAA men's assistant at Division I, II, III (8 years), and an Elite Travel Ball coach and coordinator (4 years). He also spent a year creating curriculum for the Mark Price Shooting Lab, a plan for developing shooters from the ground up. Dan has also worked over 30 summer basketball camps across the country. Dan was born and raised in Spain and covers US basketball for media outlets in Spain. He also coaches U9 and U10 basketball at the youth level. Brad currently serves as the NCAA Assistant Director of Men’s Basketball Championships where he oversees officiating, drug testing, manuals (operations and participating team) and assists with game operations for the DI Men’s Basketball Championship. 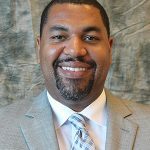 He joined the NCAA in the fall of 2012 after serving as the Assistant Athletic Director for Development and Special Events at Southern Illinois University. Prior to that, he served as the assistant commissioner for championships at the Colonial Athletic Association and was a member of the 2002-03 NCAA championships intern class at the NCAA. Brad received his undergraduate degree from the University of Missouri in 1999 and his graduate degree from Ball State in 2001. The supporters below endorse the Health and Wellness, and Player Segmentation recommendations shared above. © 2016 NBA Youth Guidelines. All rights reserved.